An SMS notification will be sent out to the Caregiver’s Primary number whenever the caregiver misses a Clock-out to register. Caregiver will be able to add notes at the time of completing task(s) as well. Caregiver can also attach any document (If required) with the task by clicking on the attachment icon. Clicking on the Status drop down, the caregiver can set the status of the task as Completed, Not Completed, Client refused, Not applicable along with the comments and respective attachments. Note: – This feature will be available both in the Caregiver Web portal and Android/iOS app. Agency can choose if the caregiver will be allowed to Clock-Out or not if all the tasks have not been updated. 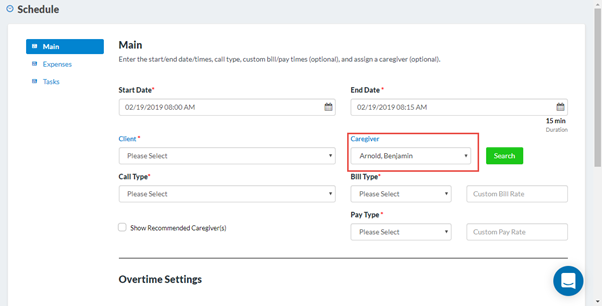 Enabling this setting in the Office Settings section, agency can enforce the caregivers to make sure they update all the schedule tasks before clocking out. Caregivers will be asked to enter a reason at the time of adding unavailability from iOS and Android app too. Note: – This feature is already available in Agency Portal and Caregiver Web portal. Now, this feature is available in Caregiver Smartphone App too. A reason for denial for any available shift will be required when a caregiver declines an available shift from iOS and android application. Note: – This feature is already available in the Caregiver Web portal. Now, this feature is available in the Caregiver Smartphone App too. 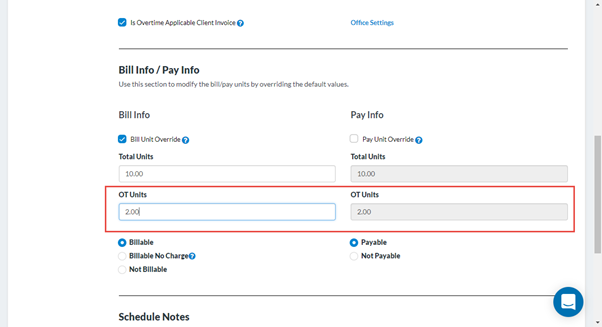 The system will set authorization as default bill type automatically if the Call type is configured as Authorization in the Client > Rates section. At the time of creating a schedule, If the call type is configured as authorization, Authorization will automatically be selected. 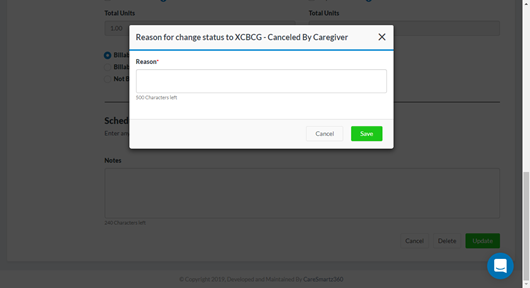 At the time of changing status to Canceled by Client, Canceled by Caregiver or Unapproved, user will be asked the reason to change the status. 9. 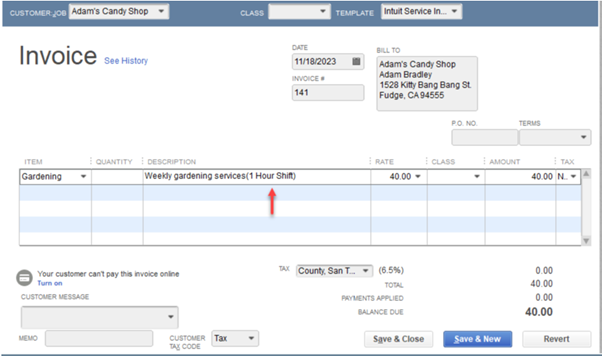 Invoice and Payroll search improvements for the schedules split between two work weeks due to the Holiday. Agency will be able to bill and pay the schedules in the single work week when they were split due to the holiday on next week’s start date. For example: Assuming the Agency’s work week start is Monday and there is a Holiday on 18th Feb. Schedule from 17th Feb starting 8 PM – 8 AM next day will split into 8 PM – 12 AM for 17th and 12 AM – 8 AM for 18th. Now at the time of Invoice and Payroll, if the date range is e.g. 11th Feb – 17th Feb, then both these schedules will come up in the work week search. More stats have been provided on the Schedule Calendar to have better visibility on the number of hours for schedules present in different status. 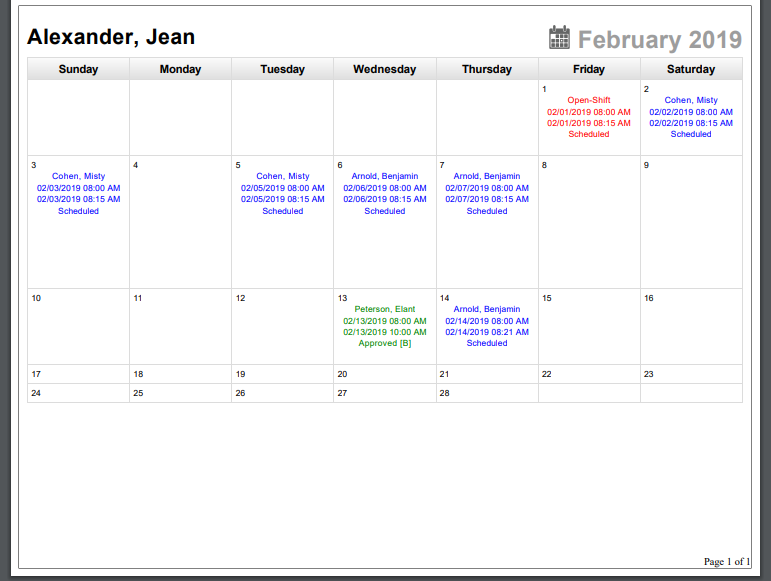 Agency will be able to export/Print monthly calendar from the Calendar in Clients and Caregivers profile. 12. Caregiver name will be selected by default at the time of creating a new schedule from caregiver’s file. At the time of creating a schedule from the calendar in caregiver’s profile, caregiver name will be shown by default. Agency will now be able to see which agency user is set as Care Coordinator in Client’s file and Supervisor/Manager in the Caregiver/Staff’s file. 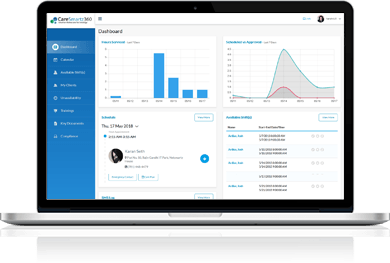 Existing Client Care Coordinator Relationship report from Client > Reports section will be updated to Client, Caregiver, Agency User Relationship Report. 14. EVV report to display name of the person has manually clocked in/out the schedule. Agency can now see the username who has manually clocked in/out the schedule. This data will be available in the “Clock-in and Clock-out Location Mode report” in EVV Report section. 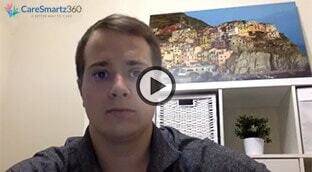 Agency can see average days taken by the client to make payment after initiating an invoice. From this report, agency will be able to see the comparison of billable schedules in two periods selected. The Agency can calculate Gross profit and Gross Margin based on Total billable amount and Total amount payable w.r.t to the schedules lying in the selected date range. A new filter “Schedule Status” is been given in the report “Client, Caregiver Schedules and Rates by Date Range” in Report section> Select Accounting. Discharge Report has been updated to select multiple Discharge Reason to run the report. In Reports > Caregiver > Caregiver Availability/Unavailability Report. User will be able to filter data based on Availability and Unavailability both. In Reports > Scheduling > Caregiver Notes Report, user will be able to select multiple caregiver status in Caregiver Status filter. User can see “Admission Date” a new column type in Select Grid column of Client Section. User will be able to paste the text in Memo Field while receiving payment on the invoice. User will be able to add alphanumeric Payroll File number and can use hyphens as special character. Character limit of “Payroll File Number” has been increased to 15. Invoices sent to Quick Books Desktop will have Call type in the description box. Ability to override OT Bill Units and OT Pay Units have been provided. Example: There is a shift with 4 hours of regular and 3 hours of OT, Agency will be able to change the number of hours for each (e.g. 5 hours regular and 2 hours OT). 25. Compliance Expiration on dashboard to show expired compliance items from past which are not updated. Widget will show past expired compliance as well which are not updated. User will be able to see ” View All ” on the Widget. Clicking on “View ALL” will route to Caregiver Compliance Report where agency can filter the data based on the compliance expiry date range. Agency can select specific invoice(s) to print from Invoice Batch. Agency needs to select the invoice(s) and click on “Print selected” button to print the selected invoices. If an Agency selects an option of “Selective Update” for weekly recurrence schedule, agency will be displayed with default change only in that schedule for which Selective Update is chosen not on any other schedule in recurrence pattern. Example: Currently, user making change in weekly recurrence schedule, that change is displayed by default on all recurrence schedules. From now, any change made in a schedule will reflect by default in that schedule only. A new filter “ Caregiver/Staff” is given at the time of creating payroll where agency can choose the specific caregiver/staff users for which they want to create payroll. User will not be able to see Payer Type ID on Invoice generated by the agency. When click on print invoice, in the preview the Payer type (remainder) will not appear on Invoice. Agency can now customize the name of “Companion Care”, “Personal Care”, “Transportation needs “section in Client Assessment. Agency needs to go in Admin settings> Client section >Choose “Assessment Field”. Agency will select an office and can edit names: “Companion Care”, “Personal Care”, “Transportation Needs”.”. 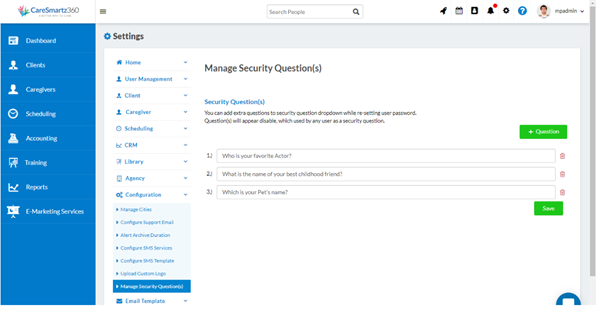 List of security questions asked at the time of setting up of password will now come from Admin. However, users will still have the option to add their custom questions. Default questions will be managed from “Configuration Management” in Admin settings. A filter will be given on Dashboard, where agency can switch data as per the respective offices. 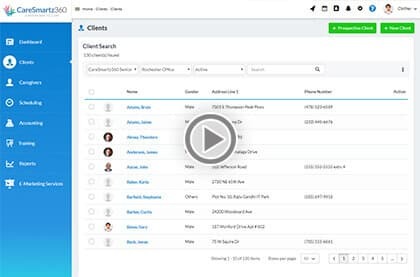 Agency can switch offices to view office specific data on dashboard or can “All Offices” to see combined data of all offices.